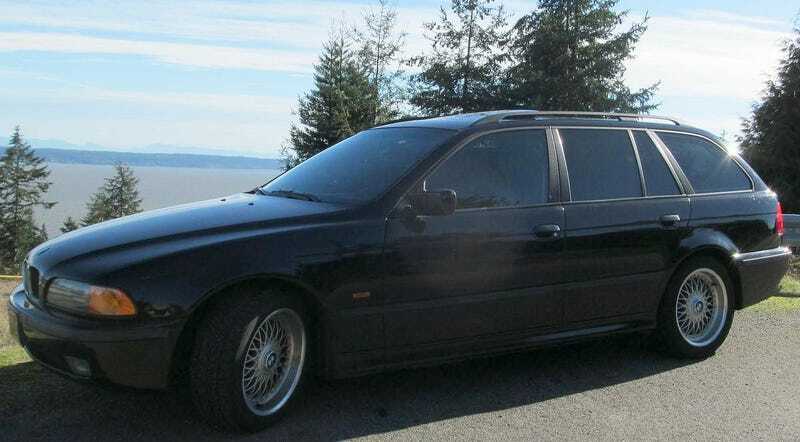 For $6,900, Could This 1999 BMW 528i Touring Prove That Less Is More? Today’s Nice Price or Crack Pipe BMW 528i is that rare bird—a manual-equipped wagon. It was only offered that way with the six, but the seller says in the long run that’s better than the V8. We’ll still see if his price is a long shot. With an 80% Crack Pipe vote, last Friday’s 1981 DeLorean DMC-12 proved not to be the proverbial pot of gold at the end of the rainbow. That’s fitting though, since it wasn’t pot that eventually brought down DeLorean the man, it was cocaine. Speaking of drugs, I was watching the movie 28 Days Later the other night and it provoked a thought: what ever happened to bath salts? Do people still do those and then eat other people’s faces and toes? I’m sadly so far outside of what is hip and happening in the drug community that I presently have no idea what’s in and what’s out. Fortunately, being an inveterate car guy, I like to think that I do know what’s all the rage in the world of grease and monkeys, and I’m pretty sure that one of those things is this 1999 BMW 528i Touring. Now, you might say, sure it’s a wagon and all that, but what makes this one so special? After all, you’ll note it’s only a lowly six when the E39 could be had with a V8. Well here’s the deal, it couldn’t be had from the factory with a V8 and a stick, not in the U.S. at least. That is where this car just so happens to call home, and it’s a row-yer-own. Not only that, but in many ways the six is actually a better car than the eight. Blasphemy you say? No, hear me out. The six cylinder E39 is different from the eight-rocker in a number of ways. They are reasonably lighter—featuring an aluminum front subframe; they offer more precise rack and pinion steering (the V8s are recirculating ball); and they can be flung with greater abandon. The seller of this one also notes that the M52/54 six has a better rep for reliability and maintenance costs than the M62 V8, and when it comes to BMWs that can be a big dealio. The seller says that this particular M52TU six has had its problematic VANOS seals replaced, as well as a nearly complete (lacking only the heater core) cooling system refresh just 13K ago. Of further benefit, its ZF box also operates through a clutch with just 5K under its belt. The A/C will reportedly cool you, while the heat will keep you toasty, and the instrument panel is free of any of those annoying CELs that ruin your day. These are all notably in the car’s plus column. Okay, so mechanically it sounds both intriguing and fairly solid, right? How however, has the car that’s wrapped around those fared? Well, to be honest it looks a little bit tired both inside and out. I have a pair of European wagons from the late ‘90s and can honestly aver that this is generally how they look. The black paint on this car looks like it could use a good color sanding—I think that’s a solid and not a clear coat—but is otherwise covering what appears to be a straight and mar-free body. BBS wheels are always welcome, and the one here seem to have all their caps and not to have been intimate with the curbs. The interior is likewise a bit worn. The car has the Sport package so it rocks a three-spoke M steering wheel and sport seats. Those seats look to be splitting a seam or two, which should demand attention sooner rather than later lets they turn to corner to rattiness. Other than that, it seems like a nice place to spend some time and to row your own while you’re there. Pop the hood and you’ll find that the engine bay is surprisingly tidy for the car’s 148,000 miles, and also serves a reminder that the Germans take great pride in the aesthetic presentation of their motors as well as their performance. In this car’s case, that performance is brought to you by way of 193-horsepower and 206 lb-ft of torque. At least that’s what it was supposed to have when it left Dingolfing. You get everything the car has to offer less the California vanity plates and the asking for that is $6,900. Yes, admittedly that’s a tidy sum for a ’99 Bimmer that doesn’t start with the letter M, but is it in fact too much to ask? H/T to MattRFrankenBenz for the hookup!